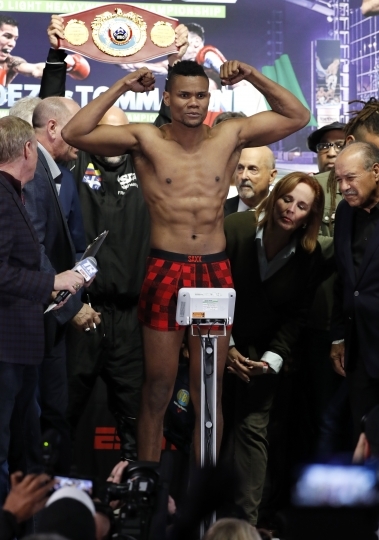 FRISCO, Texas — Eleider Alvarez has a message for Sergey Kovalev if the Russian thinks a simple mistake cost him his WBO light heavyweight championship belt last summer. The rematch is Saturday night at team headquarters of the Dallas Cowboys north of Dallas. "I believe that's an excuse he is making," Alvarez said through a translator. "When you lose, you have a lot of excuses. When you win, you have no excuses. He says that was an accident. Well, he's got to be ready for another accident on Saturday." Alvarez won in his first shot at the title in Atlantic City New Jersey, last August when he knocked down Kovalev three times in the seventh round. Kovalev was leading on all three scorecards going into the round. There was talk of a unification bout for Kovalev (32-3-1) in the 175-pound division if he had kept his title against Alvarez. Instead, there were more questions for the 35-year-old following his third loss in five fights. "This is my goal: get back my belt that I dropped on the way to my big goals," Kovalev said. "Yes, I made a mistake last time. But this time I will fix it. This Saturday will be the best version of me." Half of the undefeated Alvarez's 24 victories have been knockouts. 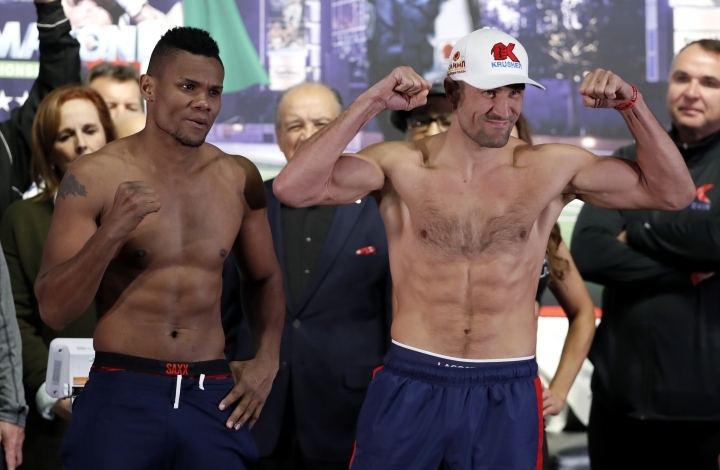 The 34-year-old Colombian was a replacement in his first match with Kovalev after legal issues nixed a bout with Marcus Browne. Alvarez isn't the unknown fighter now. "Things have changed a lot for me," Alvarez said. "But I'm still the same guy." Oscar Valdez is set for another defense of his WBO featherweight title almost a year after his jaw was broken in a 12-round decision over Scott Quigg. The two-time Mexican Olympian will face fellow unbeaten Carmine Tommasone. Valdez (24-0, 19 knockouts) persevered through a grueling challenge in a steady downpour at the StubHub Center's outdoor venue south of downtown Los Angeles last March. There won't be any threat of weather at the indoor football stadium that doubles as a practice venue for the Cowboys and the home field for high schools in Frisco, a suburb 30 miles north of Dallas. "I took enough time off to make sure my jaw was fully recovered, so when I got back to training, I was 100 percent ready," Valdez said. "I can't wait to show the fans a new Oscar Valdez." Tommasone (19-0, 5 KOs) is making his first appearance outside his home country of Italy.